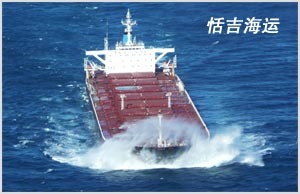 Solebay Shipping was founded on 1998. We are shipping operator specialised in dry bulk chartering, including coke, coal, iron ore, alumina, grain and fertilizes. We are working closely with several steel mills and commodity traders, including several big names such as China Minmetals Import and Export Corporation , COFCO, CITIC, China Non-ferrous Metals Import and Export Corporation, Shan Xi An Tai Group, BOHI, Beiliang group and Marubeni Tokyo etc. Since we start the business, the capacity expansion is on a rise. In 2004, we reached tonnage of 2,839,625.56 DMT and quickly grew at annual rate of 20% till now where we are one of the leading operators in the China. We are growing rapidly and have built good reputation in the industry. Our team is very experienced and equipped with sound knowledge of market practice. To assist the physical operation in risk management, Solebay started trading FFAs in Dec 2005 with the majority of trades concluded in the form of OTC trades. In 2007 we decided to entirely switch to cleared trades and all of our trades thereafter were cleared. As a result, we managed to avoid counterparty risk in 2008, when the whole industry were involved in default and suffered huge losses. Over the years Solebay is growing steadily in terms of volume of trades, and our sufficient cash flow provides a strong support to further expand in the FFA market. We have an excellent track record and hence have developed good relationship with the clearing bank. Solebay Shipping Ltd. shall be converted into a large-scale international and comprehensive logistic and industrial corporation group from a Chinese tramp shipping player in terms of uniform service flow and standard business system. We aim to establish long-term and constructive relationship with our customers on the basis of mutual trust and understanding; to honor commitments towards all stakeholders; to accomplish two strategic tasks which are industry upgrade based on logistics and company transformation of contemporary corporate system establishment; boost company's products renovation, flow reengineering and organization restructuring. The company will be able to achieve the first-class global logistics and industrial corporation level in several years endeavor. Loyalty, teamwork spirit and vigor. We stimulate personal and professional growth, share the opportunities of development and maximize individual and team performance. We form a long-term vision, meeting challenges with courage and creativity to realize our dreams. We improve our business operations continuously, always driving for innovation and evolution. We respect others, make every effort to understand each other, take responsibility and do best to build mutual trust. FFA index operation is one of our major businesses. We are one of the clients of LCH and SGX. We also deal with business of bulk cargo transportation, such as: coke, coal, iron ore, alumina, and fertilizer. Iron ore, alumina and fertilizer imported from USA , Australia and India are shipped to China with chartered performing vessels. Adhering to the principles of unity, development, honesty and efficiency, Solebay Shipping Ltd. has established stable co-operative relationship with many customers from home and abroad and also won good business credit. Solebay Shipping Ltd. will always adhere the principle of equality and mutual benefit, to advance and reinforce our friendly co-operation with partners in both transportation and trading fields from home and abroad to comply market situation and develop new businesses.